Brent is working hard on finishing these cows. We finish on grass which challenges you with extra variables such as weather, grass species and many other things that Brent knows more than I. Should you fatten with corn, things are straightforward. We’ve had a great stretch of rain followed by a few days of sun and the grass is growing. And the cows are grazing. The herd seems to be eating well and plumping up. We are after flavor. 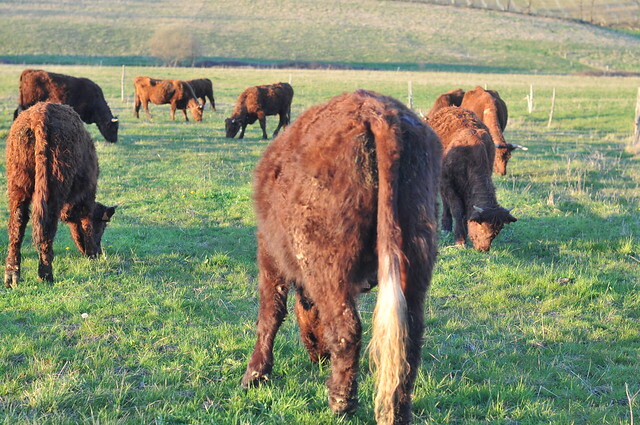 The cows graze on the same terroir suited for wine, foie gras and Armagnac. Those rocks do their part when it comes to flavor. 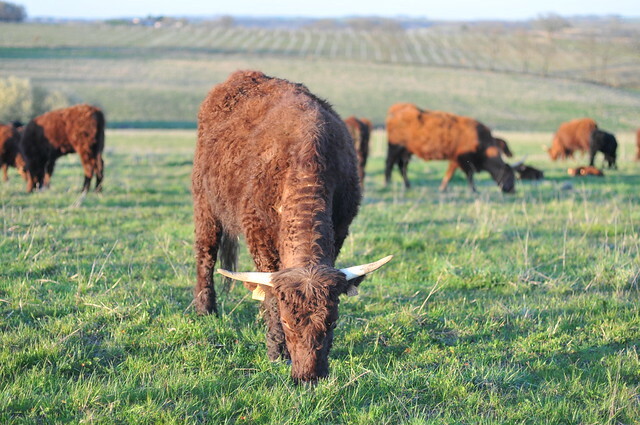 Our next beef will be ready in April. When they shed their wooly coat, it’s easier to see what is going on. Maybe a little Armagnac massage will do. That’s Hermano with his swept-back horns.